Anyway, on to the jelly sandwich! 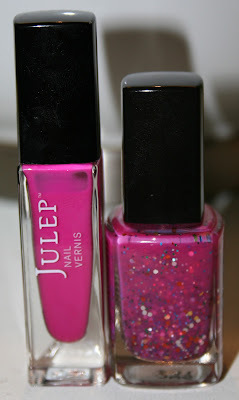 Here you can see the damage I did to Julep Lily with this one mani! I love layering, but it sure eats through a bottle of polish quickly! Just look at Lynn's beautiful franken! What should we name her? The photo above and the one below are 2 coats Lily and one coat of Lynn's franken, pre-sandwich :) If you want to see Lily alone, you can check out yeterday's post HERE. The fuchsia of the franken is a perfect match to Lily, but it is very sheer. I can't wait to try it over white or a softer pink. The franken alone didn't create a thick enough sandwich for me so I added one more thin layer of Lily. I love, love, love how this mani turned out and I got compliments left and right! It just looked so juicy! A juicy, jelly sandwich? haha... I'm going to stop talking. The last picture says it all! Do you love jelly sandwiches as much as I do? Do you have a favorite combo? Do you franken? any tips? Obviously Lynn's franken is one of a kind, but you can get Lily from Julep.com. 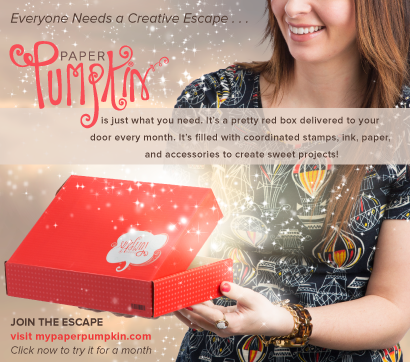 And, right now you can join the Julep Maven monthly subscription program for 1¢! If you want to try the Julep Maven Box they are offering a promotion where first time members can get their first box for only 1¢! 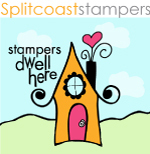 Click Here and enter COLORS4ONE at checkout. Thank you for the gorgeous franken! I love the jelly sandwich look! And you're right- it is very juicy looking! No wonder you got so many compliments--this combination is just gorgeous! This is my favorite color! love this!